Access by Road 4 x 4 access not required. Kruger National Park has 9 entrances on its South African border & 2 on its Mozambican border. Paul Kruger Gate is the nearest entrance to Rhino Walking Safaris. Guests travelling to Rhino Walking Safaris need to check in at Rhino Post Safari Lodge first which is accessible in a normal 2 x 4 vehicle. Guests are then transferred in open 4×4 vehicle (no charge) to Rhino Walking Safaris base camp – Plains Camp. Travelling time by vehicle from Johannesburg to Rhino Post Safari Lodge is approximately six hours (500km). Click on the links below to download directions (via road) for your visit. Airlink flies daily from Johannesburg (55 mins) & Cape Town (2hr 30 mins) directly into the Kruger Park to Skukuza Airport. 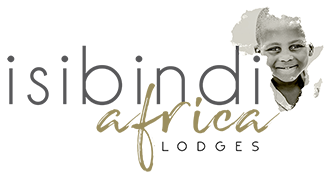 Guests are met at the airport and transferred to the lodge (30 minutes drive) in an open game drive vehicle starting their safari experience the minute they step off the plane. A nominal fee is charged for the road transfer from Skukuza Airport. Rhino Walking Safaris. Flights are designed to connect with international & regional flights into Johannesburg & Cape Town International Airports. Private Charters are permitted to land at Skukuza which is approximately a half hour road transfer in open 4 x 4 game viewing vehicles, through the Kruger National Park to the lodge. Co-ordinates: S24º 58.0’ E031º 36.0’ Length: 1.55km tarred runway. Airport hours are between 09h00 & 15h00 only. 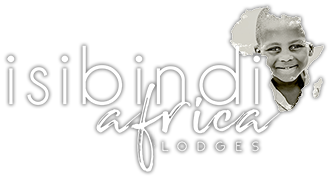 In addition to the above, Isibindi Africa Lodges are able to organise inter-lodge road or air transfers between our properties. Contact reservations on [email protected] to arrange your personal road or air transfer. Rhino Walking Safaris will not be held responsible for guests arriving at the Gates after closing times. Guests must allow sufficient time to travel through the park and arrive at the lodge before sunset. Guests are not allowed to travel on Kruger Park Roads after sunset. Always allow extra time for animals blocking the road. Remember the speed limit is 50kms in the park – please take this into account when planning your trip. Please Note: If guests are not in time at the respective gates, the SANParks personnel will not allow them to enter the park and they will have to find alternative accommodation for that night.